In addition to my 'relief' and more sculptural works I also create flat images in a range of media. These have the feel, sense of humour, detail and overall style of my other pieces but do not incorporate found objects or raised/layered collage sections. 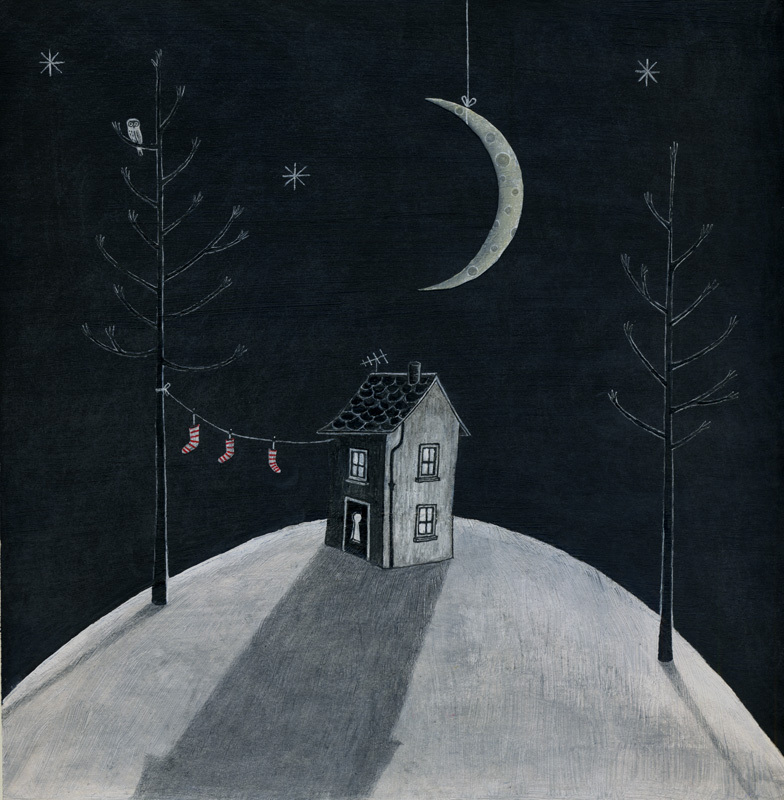 This image was painted using acrylic and ink and was used to make a set of alternative Christmas cards. Taking inspiration from the lyrics of a popular festive song ("I'll be home for Christmas, if only in my dreams") I painted a surreal dreamscape featuring the longed-for home. 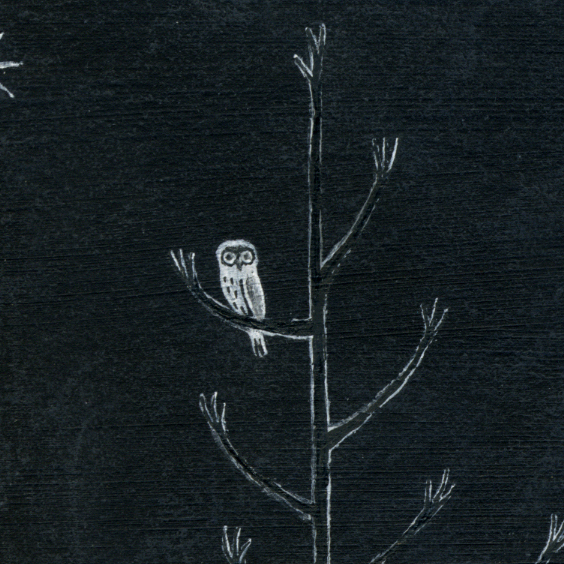 Three stockings hang on a line, an owl sits on a grasping branch of a tree, the moon hangs from a string like one made of papier mache. A giant keyhole sits in the middle of the closed door of the house. Although I made it for Christmas, the story this painting tells isn't rooted in this context and the cards and prints of this image sell all year round. Acrylic and Ink on Paper, 20x20cm approx.